Bee Gees singer Robin Gibb refused to have scans that could have detected his fatal tumours before they developed – so he could go on a world tour. Robin Gibb died in May, aged 62, after a long battle with colon and liver cancer. His heartbroken widow, Dwina Gibb, 59, has told how he initially ignored doctors’ advice and her pleas to have the cancerous cells properly checked. The cancer was spotted after the star had an operation to remove an intestinal blockage in October 2010. But Dwina Gibb said she and son Robin John, 29, were unable to stop Robin continuing with his musical commitments. She said: “He didn’t want to stop and I said, <<Please just have the scan>>. Despite all his wonderful ways, Robin could be very stubborn and he never liked bad news – he just didn’t want to know. “He went to do a show in New Zealand as they’d just experienced an earthquake. 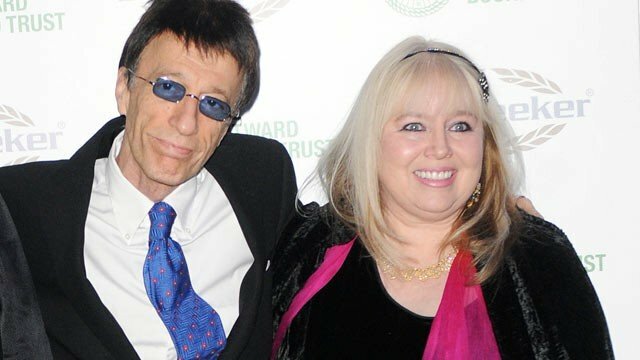 Robin Gibb toured for more than two weeks during November 2010 and his wife said the cancer had developed to a secondary stage – when the tumor starts to spread to nearby blood vessels – by the time he had a check-up. Before he died from pneumonia, Robin Gibb astonished doctors by pulling out of his coma for several weeks after Dwina Gibb played a symphony he had composed with his son to mark the centenary of Titanic’s sinking.